When the proprietors of legendary Canadian independent record label True North Records bought a building in Waterdown Ontario earlier this year (on the Niagara escarpment about an hour west of Toronto between Burlington and Hamilton) for their music business operations, they had planned to lease some available extra space in the building to a few local businesses in the creative cultural sector. That plan was put on hold, however, with the arrival of a ‘eureka’ moment - why not use the space to show the visual art of music artists they were involved with? This was co-owner Mabruka Kulawick’s idea - herself a visual artist - whereupon partner and husband Geoff Kulawick began researching musicians that were also seriously talented practicing visual artists - and there were so many. After assembling a collection of 100+ works of art by musicians that reads like a who’s who in music, the Kulawicks’ held their ‘vernissage’ private view opening of True North Gallery - The Music Gallery of Fine Art on Friday, March 25th with 100+ invited VIPs, artists and media in attendance. Special guests Buffy Sainte-Marie and Murray McLauchlan were presented in a discussion about their art and music and how they interconnect, that was videotaped for sharing through social media - the pillar of a marketing plan tooled to reach music fans - not just the typical fine art buyers targeted by traditional art galleries. On exhibit at the gallery is art by all of the above mentioned artists, as well as works by Patti Smith, Tony Bennett, Grace Slick (Jefferson Airplane), Andy Warhol (producer of Lou Reed & The Velvet Underground), Graham Nash, Joseph Arthur, Louie Perez (Los Lobos), Rich Robinson (Black Crowes), Ron Wood (Rolling Stones), Janis Joplin, and Canadians Will Millar (Irish Rovers), Terry Watkinson (Max Webster), Martin Tielli (Rheostatics), Marc Jordan, and dozens of others. True North Gallery - The Music Gallery of Fine Art is open daily June 15 - September 15, and by appointment only at other times, except during open house events scheduled on the website. 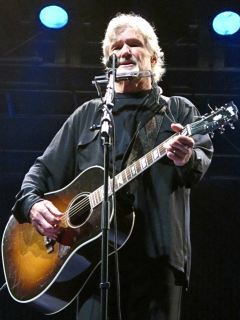 Kris Kristofferson (*22 June 1936, Brownsville, Texas, USA). The American singer and songwriter is known for writing and recording hits such as "Me and Bobby McGee" and "Help Me Make It Through the Night." While sweeping floors at Columbia Recording Studios in Nashville in the mid 1960s, Kristofferson met June Carter and asked her to give Johnny Cash a tape of his. Cash decided to record "Sunday Mornin' Comin' Down" and that year Kristofferson won songwriter of the year at the country music awards. Within the next few years, more Kristofferson originals hit the charts. His second album, The Silver Tongued Devil and I in 1971 became a success and established Kristofferson's career as a recording artist in his own right, but his distinctively rough voice and anti-pop sound kept his own audience to a minimum. In 1985, Kristofferson joined fellow country artists Waylon Jennings, Willie Nelson and Johnny Cash in forming the country music supergroup The Highwaymen. He is also known for his acting work, including starring roles in Pat Garrett and Billy the Kid, Alice Doesn't Live Here Anymore and A Star Is Born, for which he received a Golden Globe Award for Best Actor. Roy Harper (*12 June 1941, Rusholme, Manchester, England). 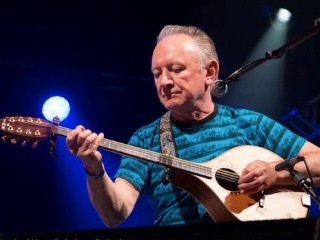 The English (folk rock) singer, songwriter and guitarist has released 22 studio and 10 live albums across his 50-year career. Roy Harper is known for his distinctive fingerstyle playing and lengthy, lyrical, complex compositions, a result of his love of jazz music and 19th century Romantic literature. His third album Folkjokeopus included an extended 17-minute track, titled "McGoohan's Blues", which Harper referred to as the "main statement" within the album. Harper regarded the radio-friendly, three-minute pop song as an anathema, a jingle to sell a band. 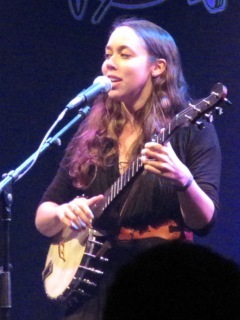 In 2013, Harper was awarded a Lifetime Achievement Award at the BBC Radio 2 Folk Awards. Sky Arts broadcast "Roy Harper: Man & Myth - The Documentary", an exclusive documentary film, which traced Harper's career and examined his output. Jerry Douglas (*28 May 1956, Warren, Ohio, USA). American resonator guitar and lap steel player Gerald Calvin "Jerry" Douglas, nicknamed 'Flux', has played on more than 1,600 albums in addition to his thirteen solo recordings. As a sideman, he has recorded with artists as diverse as Ray Charles, Eric Clapton, Dolly Parton, Paul Simon, Mumford & Sons, Elvis Costello, as well as performing on the O Brother, Where Art Thou? soundtrack. Since 1998, Douglas has been a member of Alison Krauss and Union Station. He has received fourteen Grammy Awards and has won the Country Music Association's 'Musician of the Year' award three times. Along with Aly Bain, Douglas serves as Music Director of the popular BBC Television series, "Transatlantic Sessions". Ken Nicol (*27 May 1951, Preston, England). In 1974, guitar player, vocalist and songwriter Ken Nicol formed the band Nicol & Marsh's Easy Street with his then brother-in-law Pete Marsh, which produced four albums on the CBS and Polydor labels. In the 1990s Nicol became a member of The Ashley Hutchings Dance Band. He later joined The Albion Band as lead guitarist and singer, writing much of the band's material. 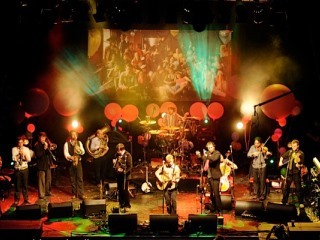 From 2002 to 2010 Nicol successfully joined forces with the legendary folk-rock band Steeleye Span. Nicol continues to write, tour and record as a solo artist, he regularly appears in duos with Ashley Hutchings and comedian/musician Phil Cool. Nicol also co-hosts a podcast called "FolkCast" (www.folkcast.co.uk), covering folk, folk-rock, singer-songwriter and roots-based music. Bob Dylan (*24 May 1941, Duluth, Minnesota, USA). Bob Dylan, born Robert Allen Zimmerman, has been influential in popular music and culture for more than five decades. Dylan has sold more than 100 million records, making him one of the best-selling artists of all time. He has also received numerous awards including eleven Grammy Awards, a Golden Globe Award, and an Academy Award. The Pulitzer Prize jury in 2008 awarded him a special citation for "his profound impact on popular music and American culture, marked by lyrical compositions of extraordinary poetic power." In 2012, Dylan received the Presidential Medal of Freedom from President Barack Obama. "The Moral of the Elephant"
His recording career has explored the traditions in American song—from folk, blues, and country to gospel, rock and roll, and rockabilly to English, Scottish, and Irish folk music, embracing even jazz and the Great American Songbook. Backed by a changing line-up of musicians, he has toured steadily since the late 1980s on what has been dubbed the Never Ending Tour. 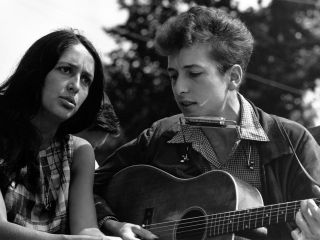 Dylan's lyrics defied pop music conventions and appealed to the burgeoning counterculture. Much of his most celebrated work dates from the 1960s when his songs chronicled social unrest, early songs such as "Blowin' in the Wind" and "The Times They Are a-Changin'" became anthems for the American civil rights and anti-war movements. In 1965, his six-minute single "Like a Rolling Stone" and other mid-1960s recordings reached the top end of the US music charts while also attracting criticism from folk music revivalists. Martin Carthy (*21 May 1941, Hatfield, Hertfordshire, England). The English folk singer and guitarist picked up his father's old guitar for the first time after hearing "Rock Island Line" by Lonnie Donegan and became a resident at The Troubadour folk club in Earls Court in the early 1960s. 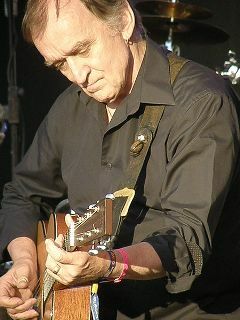 For more than 40 years, Martin Carthy has been one of the most influential figures in British traditional music, inspiring contemporaries such as Bob Dylan and Paul Simon (who adapted Carthy's arrangement of the traditional ballad "Scarborough Fair" in 1966) and later artists such as Richard Thompson. Martin Carthy is a solo performer of traditional songs in a very distinctive style, accompanying himself on his Martin 000-18 acoustic guitar; his style is marked by the use of alternative tunings (notably CGCDGA), and a strongly percussive picking style that emphasises the melody. He also has sung with wife Norma Waterson and daughter Eliza Carthy since 1972, was twice a member of the electric folk group Steeleye Span, was a part of the Albion Country Band 1973 line-up and the innovative Brass Monkey ensemble, which mixed a range of brass instruments with Carthy's guitar and John Kirkpatrick's accordion, and has enjoyed a creative partnership with the late fiddle player Dave Swarbrick for many years. 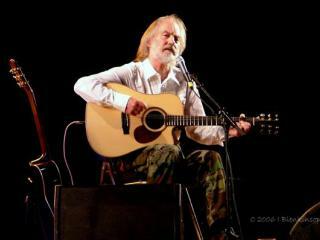 Aly Bain (*15 May 1946, Lerwick, Shetland, Scotland). The Scottish fiddler had learned his instrument from Shetland master Tom Anderson. In the early years of his career, Aly Bain was briefly part of The Humblebums with Gerry Rafferty, Billy Connolly and Tam Harvey. He became prominent as a founding member of The Boys of the Lough, a Scots-Irish folk group, with whom he played for over 30 years. 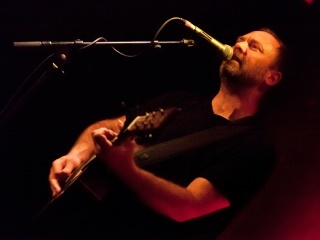 Bain has regularly collaborated and recorded with international musicians, including Emmylou Harris, Rosanne Cash, James Taylor and Jerry Douglas. Simultaneously, Bain pursued a solo career in television projects such as the six series of the Transatlantic Sessions. 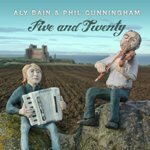 In 2005, he and accordionist Phil Cunningham won the BBC’s "Best Duo of the Year" award. In 2013, Bain was honoured with a lifetime achievement award. Donovan (*10 May 1946, Maryhill, Glasgow, Scotland). 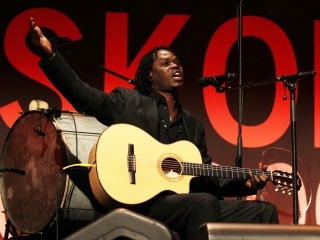 Scottish singer, songwriter and guitarist Donovan Philips Leitch has developed an eclectic and distinctive style that blended folk, jazz, pop, psychedelia and world music (notably calypso). Emerging from the British folk scene, Donovan reached fame in 1965 with live performances on the pop TV series Ready Steady Go!, he recorded singles and albums in the folk vein, scoring multiple hit singles and albums in the UK and US. His most successful singles were "Catch the Wind", "Colours", "Universal Soldier", "Sunshine Superman" and "Hurdy Gurdy Man". Donovan continued to perform and record sporadically, while his flower power image was scorned by critics and new artists and styles of popular music began to emerge. The 2004 album Beat Cafe marked a return to the jazzy sound of his 1960s recordings. "Live - Working Without a Net"
Janis Ian (*7 April 1951, New York City, USA). 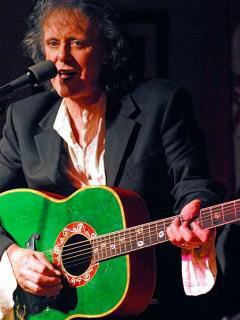 As a child, Janis Ian (born Janis Eddy Fink) admired the work of folk pioneers such as Joan Baez and Odetta. By the time she entered her teens, she was playing the organ, harmonica, French horn, and guitar. At the age of 12, she wrote her first song, "Hair of Spun Gold," which was subsequently published in the folk publication Broadside. Most active musically in the 1960s and the 1970s, Janis Ian has continued recording into the 21st century. At the age of 14, Ian had written and recorded her first hit single, "Society's Child (Baby I've Been Thinking)", about an interracial romance forbidden by a girl's mother and frowned upon by her peers and teachers. Ian recalls receiving hate mail and death threats as a response to the song. In 2001, "Society's Child" was inducted into the Grammy Hall of Fame, which honors recordings considered timeless and important to music history. Johnny 'Ringo' McDonagh (*30 March 1951, Galway, Ireland). 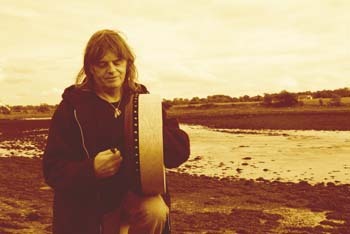 Johnny "Ringo" McDonagh has been playing the bodhrán since 1967. He co-founded the legendary group De Danann with Frankie Gavin (fiddle), Alec Finn (guitar, bouzouki) and Charlie Piggott (banjo) as a result of sessions in Hughes's Pub in An Spidéal, County Galway. He later formed Arcady and recorded and performed with premier Irish music acts from Eileen Ivers to Mary Bergin, as well as Mike Oldfield and Thin Lizzy's Phil Lynott. Johnny has invented several groundbreaking techniques that extended the musical vocabulary of the instrument, such as the backslide and playing on the rim. He can also lay claim to being the first to play a bodhrán with a brush, as well as originating the idea for a tunable bodhrán. Steve Ashley (*9 March 1946, Perivale, London, UK). British singer-songwriter Steve Frank Ashley first gained public recognition for his work with his debut solo album, Stroll On (1974). Taking his inspiration from English traditional songs, Ashley has developed a songwriting style, which is contemporary in content whilst reflecting traditional influences in his melodies, poetry and vocal delivery. He plays a right-handed guitar, left-handed, without changing the strings, so the instrument is played upside-down. In 1992, Ashley retired from the music industry to concentrate on his design and copywriting work for various UK charities. After an eight-year break from music, he was encouraged to return. He performed as a solo artist and in duos with Al Fenn and Dik Cadbury, as well as making occasional guest appearances with Fairport Convention. His latest album, This Little Game, included 12 stripped-back originals, featuring just vocal and guitar. Ralph Stanley (1927-2016). Bluegrass music patriarch Ralph Edmund Stanley passed away on June 23, 2016, at 89 after battling skin cancer. Known for his distinctive singing and clawhammer-style banjo playing, Stanley began playing music in rural Southwest Virginia in 1946. One of the first groups to pick up the new genre that became known as bluegrass, he co-founded the Clinch Mountain Boys with his older guitar-playing brother Carter Stanley (1925-1966). The brothers fused Monroe's rapid rhythms with the mountain folk songs from groups such as the Carter Family, who hailed from the same part of Virginia. "Echoes of the Stanley Brothers"
Ralph Stanley, often introduced as "Dr. Ralph Stanley" after given an honorary doctorate of music from Lincoln Memorial University in 1976, kept the band name when he continued after Carter's death. He mentored younger artists like Keith Whitley and Ricky Skaggs, who performed with him. Eventually, his son, Ralph Stanley II, took over as lead singer and rhythm guitarist. Despite health problems, he maintained an active touring schedule. Stanley had created a unique style of banjo playing. The "Stanley Style" is distinguished by incredibly fast "forward rolls", led by the index finger (instead of the thumb, as in Scruggs style). The rolls are continuous, while being picked fairly close to the bridge, giving the tone of the instrument a very crisp, articulate snap to the strings. Dave Swarbrick (1941-2016). For many years, English folk musician David Cyril Eric Swarbrick had suffered steadily worsening health because of emphysema. There was considerable embarrassment for the Daily Telegraph newspaper when it published a premature obituary for Swarbrick in 1999 after he was admitted to hospital with a chest infection. In 2004, Swarbrick had received a double lung transplant and resumed his career with fervour, but sadly died on 3 June 2016 in Birmingham hospital, following a tracheotomy. Swarbrick has been described by Ashley Hutchings as 'the most influential [British] fiddle player bar none'. He joined the Ian Campbell Folk Group in 1960 and also played on recordings for the three most important figures in the British folk movement of the time, A.L. Lloyd, Ewan MacColl and Peggy Seeger. From 1965 he began to work with guitarist and singer Martin Carthy. Subsequently, Swarbrick was asked to join Fairport Convention, became the first fiddler on the folk scene to electrify the violin and guided the band through a series of important albums. After its temporary disbandment in 1979, Swarbrick's career focused on small venues and acoustic performances. At the 2006 BBC 2 Radio Folk Awards, however, he shared with current and past Fairport Convention members an award when their seminal album Liege & Lief was voted 'Most Influential Folk Album of All Time'. Guy Clark (1941-2016). Grammy-winner, Nashville Songwriter Hall of Fame member and Academy of Country Music Poet’s Award honoree Guy Charles Clark died 17 May 2016 after a long illness. His beloved Susanna had died in 2012. Due to ongoing health problems, Guy Clark stopped touring and recording shortly thereafter. "A Tribute to Guy Clark"
Born in dusty west Texas, he fell in love with Mexican folk songs and the flamenco guitar. 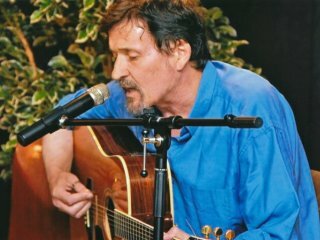 Clark owned a guitar repair shop, built dobros at the Dopyera Brothers Original Musical Instruments Company, played guitar and sang folk songs in coffee shops, began life long friendships with fellow struggling songwriters such as Townes Van Zandt, and pitched his songs to publishing companies in between. His songs "L.A. Freeway" and "Desperados Waiting for a Train" that helped launch his career were covered by numerous performers. Clark has been a mentor to singers as Steve Earle and Rodney Crowell. For more than forty years, the Clarks' home in Nashville was a gathering place for songwriters, singers and misfits (it features in the documentary Heartworn Highways). In 2011, the two-CD set This One's For Him: A Tribute to Guy Clark won Americana Album of the Year, Guy Clark himself won the Grammy Award for Best Folk Album in 2014 for My Favorite Picture of You. Mick Fitzgerald (1951-2016). He worked for the Irish Press from 1972-1978 and 1984-1986, appeared many times on Irish and British TV as well as many Art-House movies, and published collections of short stories. Mick Fitzgerald was born in Dublin in the 1950s into a family of performers. He formed the group “Tipsy Sailor” and then went on to play with the “Wild Geese” all over Europe. His solo albums have been received well. In 2011 he released a CD called "The Enchanted Lake", where he reads from Grimms' collection of Irish folk legends with musical accompaniment. "Wild Goose Takes Flight Again"
Peter Carberry (1924-2016). The highly accomplished accordion and banjo player Peter Carberry died 14th April 2016 at his home in Derryhawn, Co. Longford, Ireland. In the late 1960’s, he emigrated to Manchester, where he played with the legendary Felix Doran, Michael Gorman, Des Donnelly Sr and later taught Mike McGoldrick and Dezi Donnelly. He formed the famous ‘Toss the Feathers’ and toured for a number of years. In the late 1990’s, he moved back to Ireland, where he recorded his solo album ‘Traditional Music from Co. Longford’ to promote the traditional music style of the Irish midlands. Peter Carberry lost the top of the second finger on his right hand in a freak accident. Undaunted, he compensated by playing second-finger parts with his third finger. In recent years, he swapped the established B/C style for the old-style ‘press-and-draw’ C sharp/D style on advice from friend Martin O’Connor. Merle Haggard (1937-2016). Along with Buck Owens, Californian singer, songwriter, guitarist and fiddler Merle Ronald Haggard and his band The Strangers helped create the Bakersfield Sound as a reaction against the over-produced and polished Nashville Sound, which is characterized by a rough edge, the twang of the Fender Telecaster and mix with the traditional country steel guitar sound. He died on 6 April 2016 — his 79th birthday — at his ranch in Northern California, having recently suffered from pneumonia. Haggard's childhood was troubled after the death of his father, and he was incarcerated several times in his youth. He managed to turn his life around and launch a successful country music career, gaining popularity with his songs about the American working class. Between the 1960s and the 1980s, he had 38 number one hits on the US country charts. During the 1970s, Haggard became aligned with the outlaw country movement. 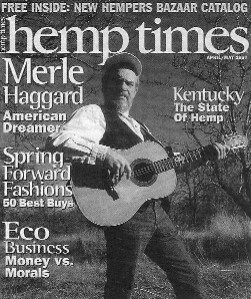 In 1969, Haggard had released "Okie From Muskogee", with lyrics ostensibly reflecting the singer's pride in being from Middle America where people are considered patriotic, do not smoke marijuana, take LSD, burn draft cards or challenge authority. In the ensuing years, Haggard gave varying statements regarding whether he intended the song as a humorous satire or a serious political statement in support of conservative values. On 8 th June, 2016, Simon Thoumire of the Hands Up For Trad organisation, which promotes Scottish traditional music and presents the Scots Trad Awards annually, presented the ‘Landmark Award’ to June and Ian Green of Greentrax Recordings at the company office in Cockenzie. In his presentation speech Simon said: What would Scottish music have done without Greentrax Recordings? Thirty years of releasing the best in Scottish music and as Sheena Wellington said, “Maintaining integrity, goodness and fairness to all”. Not only that the label created and sustained a revival in traditional music where young (and old) musicians could experiment with their culture, for example Shooglenifty’s ‘Venus In Tweeds’ album, which changed the world in my opinion and put an innovative musical Scotland on the map. It wasn’t just Shooglenifty though – Greentrax recorded and supported so many young artists when no one else did........... So here’s to Ian and June and all at Greentrax Recordings. We cannot do without them and I look forward to the next inspirational 30 years! This comes in the year Greentrax Recordings celebrates its 30th Anniversary with the release of a double CD collections of 30 tracks selected from the many ‘special projects’ that have been undertaken in that time, including ‘Gaelic Women’, ‘Scots Women’, ‘Scottish Women’, ‘Steele The Show’, ‘The Eric Bogle Box Set’, ‘Scots in The Spanish Civil War’, ‘Guitar Music From Scotland’, three ‘Tapestry’ albums, ‘Far, Far From Ypres’ (Songs, Poems and Music of WW1 and currently the Greentrax best-seller) and more. 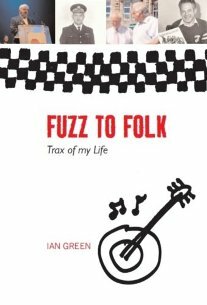 Ian Green’s autobiography – ‘Fuzz to Folk – Trax of My Life’, published by Luath Press Ltd., in late 2010, was the Scots Magazine’s ‘Book of The Month’ in April that year and was selected as a ‘Summer Read’ by Scottish Libraries in 2011. The book also has several five star reviews on the Amazon Books website. Greentrax is re-launching the book in 2016. "2015 in 10 Songs" / "1939"
Once a year or so, some of the lazier journalists working for outlets like the New York Times, the Washington Post and the Guardian feel compelled to ask this question in a headline. Or it could be their editors who are responsible. In any case, between the editors and the journalists, they generally fail to answer the question. Actually answering this question in the form of a news article is left to little-known independent media outlets such as Australia's Green Left Weekly. But the much-vaunted investigative journalists working for these aforementioned trend-making publications in the English-speaking world's capital cities might be forgiven for their ignorance. After all, in order to find out where the "protest singers" (the term itself is a derisive sort of thing invented in the 1960's to discredit the art form in question, but never mind) are these days, you have to look beyond the Billboard charts and turn off your local commercial radio station. If these investigative reporters in New York, Washington and London did look beyond pop radio hits, perhaps they looked to the premier independent media collaboration in the United States, as it bills itself, the much-loved daily news and information show, Democracy Now!. But if they're looking to this immensely popular show to answer this question for them, they should once again be forgiven for their ignorance, since according to my own year-long study of Democracy Now! music breaks, 83% of the songs played during the period of my study were by Grammy-winners or people who had a #1 hit. And a majority of the artists played were dead. But rather than just incessantly whining about this sorry state of affairs, I decided to do something about it. I've actually been working at this in my free time for months, without telling you. But I'm telling you now. On May 1st, 2016 I'll be launching the Song News Network. What, you ask with bated breath, is the Song News Network? Well, the sky's the limit, but what it will be to begin with is a daily news feed on Facebook (yes, I know, but there are reasons) consisting primarily of songs by independent artists. Generally songs topically related to something that just happened somewhere in the world (whether it was covered by media or not) and songs about something that happened on this date in history. I have been collecting songs from most of my favorite artists (living and dead, but mostly living) over the past couple months, and will continue to do this. I'm scheduling posts that will go out on the relevant date for songs about things that happened in the past that we would do well to remember. Obviously for the songs about current news, songs will go up as soon as I hear about them. Given that the internet is largely divided along linguistic lines, and given that there is only one language that I speak with any degree of fluency, the songs that go up will mainly be in English. (Please feel free to steal all of my ideas here if you want to create a similar network in another language!) Given my musical inclinations and background, there will be a lot of acoustic guitars involved with this, especially in terms of the initial spate of songs I'll be posting. However, please understand that I'm just as interested in submissions of hip hop or punk rock material as I am in more folky stuff. Mr Dhanonday Shrivastav OBE: also known as Baluji Shrivastav is awarded Officer of the Order of the British Empire OBE in the 2016 Birthday Honours List as "Musician, Instrumentalist and Founder, Inner Vision Orchestra. For services to Music." 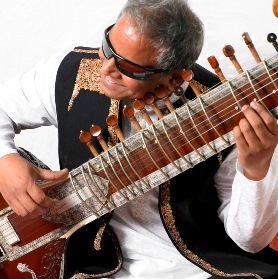 Baluji Shrivastav is a British-Indian multi-instrumentalist who surmounted blindness from 8 months old to become one of the world’s leading sitar players. As a classical Indian multi-instrumentalist, Baluji Shrivastav has performed and recorded with some of the greatest tabla accompanists such as Anindo Chatterji and Ustad Fayaz Khan. Baluji has performed all over the world recording albums with Stevie Wonder, Massive Attack, Annie Lennox, Noel Gallagher and Madness. In 2012 Baluji performed at the Closing Ceremony of the Paralympic Games alongside the British Paraorchestra and Coldplay. Born in the Indian state of Uttar Pradesh in 1959, Baluji undertook his first musical training at Ajmer’s Blind School on traditional instruments including the sitar, dilruba, surbahar, pakhavaj and tabla. From here, Baluji went on to graduate from University of Lucknow with a B.A. in Vocal Studies and Sitar. This was shortly followed by a further BA in Tabla and an MA in Sitar from Alahabad University. Baluji moved to London in 1982 where he signed to world and folk music record label ARC Music and went on to release 8 albums including: ‘Classical Indian Sitar & Surbahar Ragas’, ‘Classical Indian Ragas – Shadow of the Lotus’ and ‘Baluji Shrivastav's Re-Orient - Indian World Music Fusion - featuring Hossam Ramzy’. Baluji Shrivastav’s compositions feature in a wide spectrum of films, theatre and television including a series of commissioned works such as ‘Portraits of the Dark’, ‘Sitar-Guitar Suites’, ‘Indian in London’ and the world’s only Urdu oration ‘Sohini and Mahival’ which he composed together with Oscar Winner Dario Marianelli. Baluji’s music has featured in Disney’s 2014 ‘Million Dollar Arm”, 20th Century Fox’s ‘New Girl’ as well as multiple episodes of NBC’s ‘Outsourced’. By 2008, Baluji established the Baluji Music Foundation, a London based charity which, as stated on their website, aims to promote "the understanding and enjoyment of music and performing arts from the Indian Sub-Continent in all its traditional and evolving forms". The Charity particularly welcomes the participation of disabled people in music, and has thus founded the Inner Vision Orchestra of blind and visually impaired musicians. 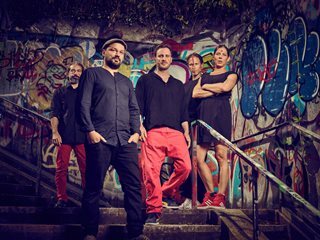 Every year since 1986, fRoots magazine has asked a large international panel of experts – over 300 in recent times – to nominate the album of the year. After they announced the results of their 30th annual fRoots Critics Poll for Albums Of The Year in December (www.frootsmag.com/content/critpoll/) they invited the public to vote online for their one favourite album out of all the winners and runners up in every year’s Critics Poll since it began in 1986, 120 albums in all. Now in its 5th year, Folk East comes back between August 19-21. Taking place at the glorious 300-acre Suffolk estate of 16th century Glemham Hall, this is a wonderfully relaxed family festival. This year’s dynamic line up boasts three powerhouse band headliners – the musical whirlwind that is Eliza Carthy’s Wayward Band, a rare appearance by seven-piece Blowzabella and an exclusive UK festival performance by new Irish supergroup Usher’s Island, uniting two ground-breaking generations of Irish musicians - Donal Lunny, Andy Irvine Paddy Glackin, John Doyle and virtuoso flautist Mike McGoldrick. There's a long list of other bands, including a special project by Festival Patrons The Young ‘uns with members of Aldeburgh Young Musicians, performing music from Suffolk folk singers including Bob Hart. A speciality of Folk East is the wide choice of delicious locally produced food and drink; and there's also a wide range of childrens activities available.